Thus there is neither any reason for conceit in deeming oneself better than others nor any reason for self-contempt, thinking of oneself as inferior and unable to reach enlightenment. This seeing is obscured by veils which are removable and do not touch the inherent purity and perfection of the nature of the mind as such. 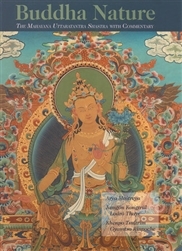 The Mahayana Uttaratantra Shastra, one of the Five Treatises said to have been dictated to Asanga by the Bodhisattva Maitreya, presents the Buddha’s definitive teachings on how we should understand this ground of enlightenment and clarifies the nature and qualities of buddhahood. 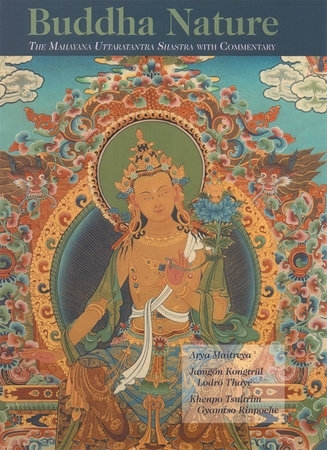 Khenpo Tsultrim Gyamtso Rinpoche provided the annotations and the explanations on which the present translation is based. A renowned scholar and highly accomplished yogi, he is a living example of the ongoing tradition of oral transmission. He first visited the West in 1977 at the request of H.H. the Sixteenth Karmapa.